Nissia apartments were perfect for us. The staff were fantastic and really helpful. Breakfast was delicious and the hot tub was great.unfortunately we didn't get his name, but the barman/ breakfast waiter was so helpful and pleasant, thank you! The location is great. The staff was very helpful. We stayed for a week in 3 rooms all with a private outdoor beautiful tubs with a view to the pool and the beach. The kids and the parents really enjoyed the facility, the beach and the general relaxation we got there! The staff was very helpful and welcoming. Spacious apartment, super clean, friendly and helpful staff, good breakfast, great location in Kamari. 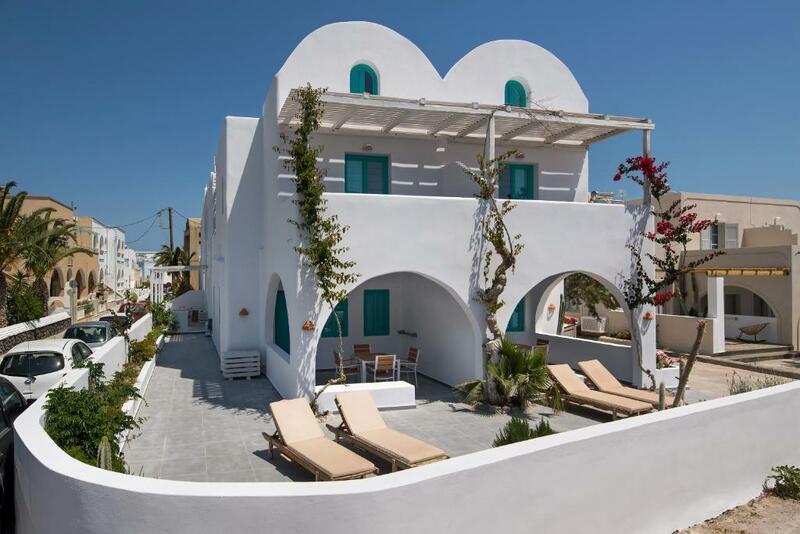 Lock in a great price for Nissia Beach Apartments & Suites - rated 9.2 by recent guests. 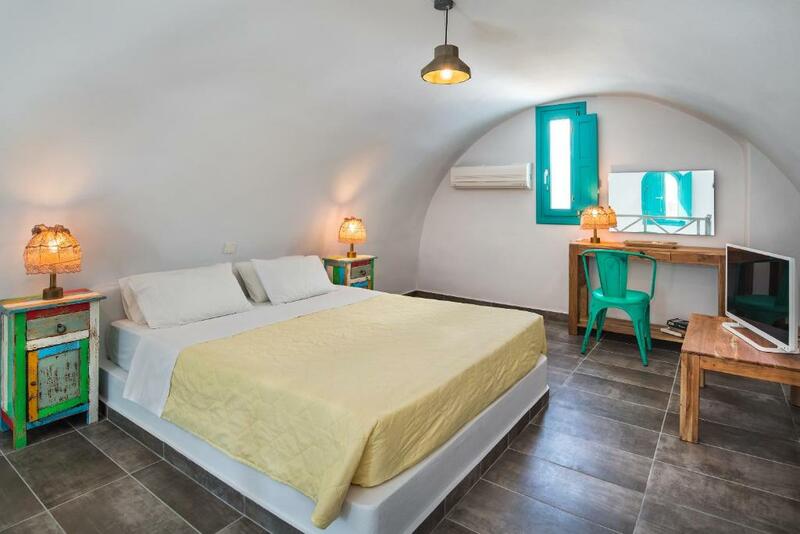 One of our top picks in Kamari.The seaside complex of Nissia Apartments is located right on the front of Kamari’s unique black sand beach. 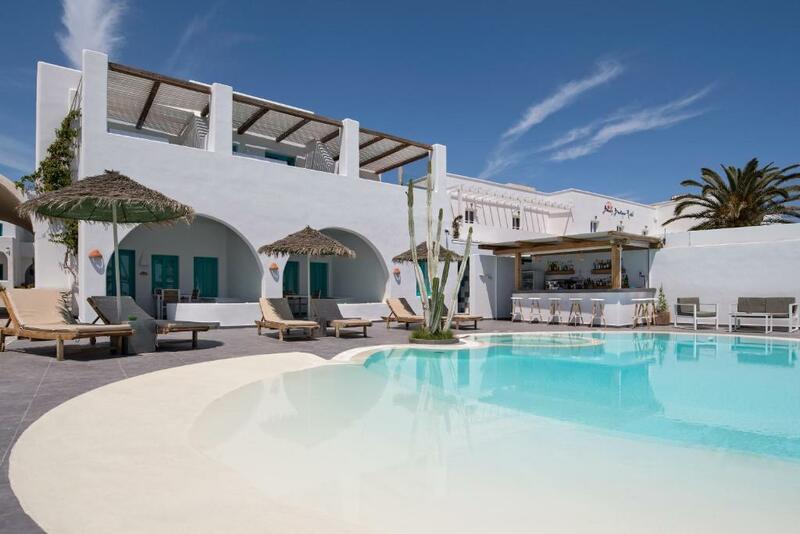 It offers great views over Santorini’s magnificent sunrise and the Aegean Sea. The self-catered Nissia Apartments in Santorini offer a swimming pool, a hot tub and a variety of accommodation types, all with fridge, kitchenette and air conditioning. 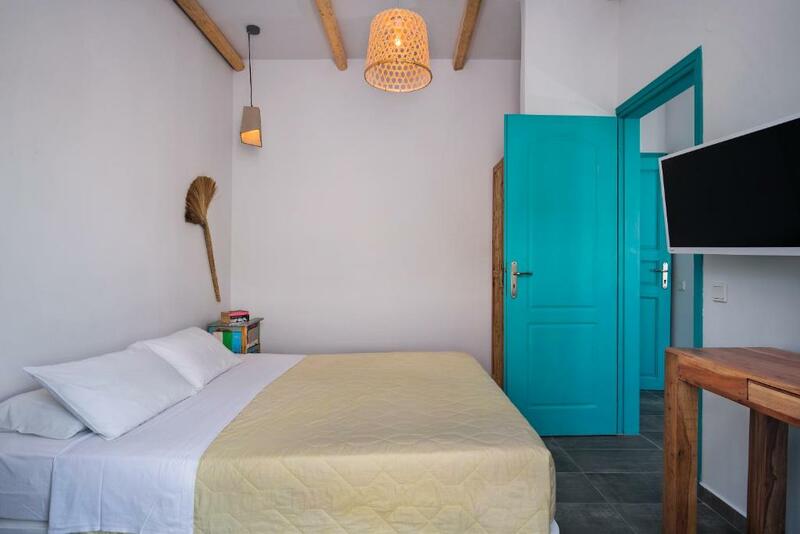 Guests can choose between traditional studios with seating area, spacious apartments with living room and maisonettes with second bedroom upstairs. This property also has one of the best-rated locations in Kamari! Guests are happier about it compared to other properties in the area. Nissia Beach Apartments & Suites has been welcoming Booking.com guests since 13 Jul 2010. When would you like to stay at Nissia Beach Apartments & Suites? 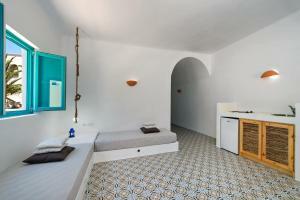 This studio includes a living area, kitchenette and a private balcony or terrace. This apartment is more spacious. 2-storey apartment with second bedroom upstairs. Featuring a private veranda with hydromassage tub and mini pool, suites are spacious with a living room and large bathroom with shower. Kindly note that the hydromassage tub is not heated. This suite features a balcony, seating area and air conditioning. It also features an outdoor hydromassage tub. Featuring a private balcony with hydro-massage tub and mini pool, this spacious suite comes with a living room and large bathroom with shower. Kindly note that the hydro-massage tub is not heated. 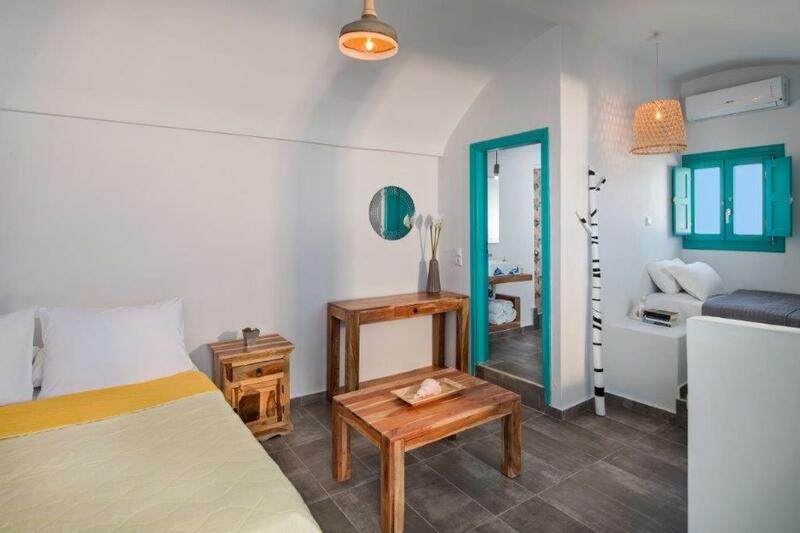 This split-level apartment includes 2 bedrooms, 2 bathrooms, a living room and a kitchenette. Opening to a balcony, this apartment includes a living room, an open-plan kitchen and a bathroom with a shower. το καταλυμα βρισκεται πανω στο πεζοδρομο του Καμαριου και ειναι παραθαλασσιο. Στην παραλια υπαρχουν δωρεαν ξαπλωστρεσ και ομπρελες για τους πελατες του καταλυματος. Μου αρέσουν τα ταξίδια και να γνωριζω καινουργιους ανθρωπους . Οτι πληροφορια χρειαζεστε για το που θα πατε και τι θα δειτε μπορουμε να σας προσφερουμε κατα την αφιξη σας στην υποδοχη . Το καταλυμα βρισκεται στον παραλιακο πεζοδρομο του Καμαριου πανω στην θαλασσα. Διπλα μας υπαρχουν εστιατορια, μινι μαρκετ και διαφορα αλλα. House rules Nissia Beach Apartments & Suites takes special requests - add in the next step! One child under 12 years is charged EUR 22 per night when using existing beds. All further older children or adults are charged EUR 44 per night for extra beds. Nissia Beach Apartments &amp; Suites accepts these cards and reserves the right to temporarily hold an amount prior to arrival. Nissia Beach Apartments & Suites accepts these cards and reserves the right to temporarily hold an amount prior to arrival. We are a family of 5. The facilities were awesome. 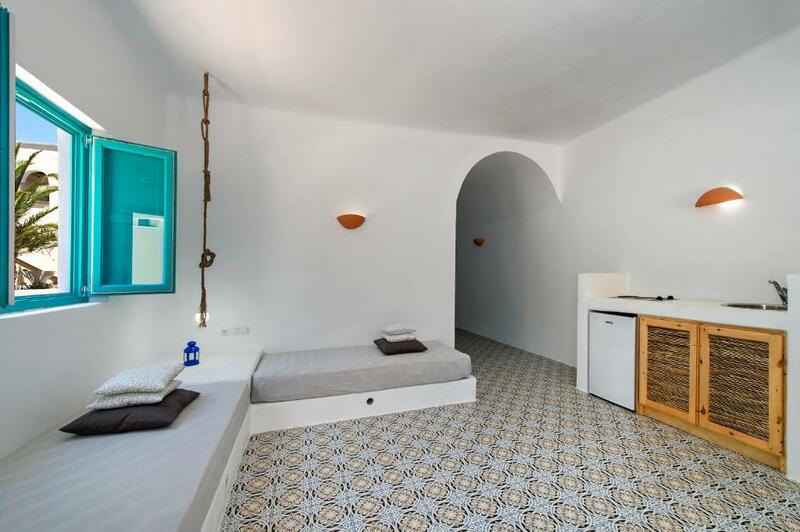 Nice large room with beach front accommodation. Nice breakfast. They were nice enough to bring us breakfast prior to our early flight. Location is near lots of tavernas. There are occasional planes flying overhead but never too noisy. Friendly staff. The room was very basic, and the bed sheets were quite scratchy so I would recommend some softer sheets! Wear beach shoes as pebble beach with some rock can trip you up getting in and out. Great setting adjacent to beach and main street for restaurants and entertainment. Excellent location, helpful and friendly staff, good facilities. The shower is too tiny. It's really uncomfortable for tall and big people. Nothing really, had a great time. Everything was amazing. 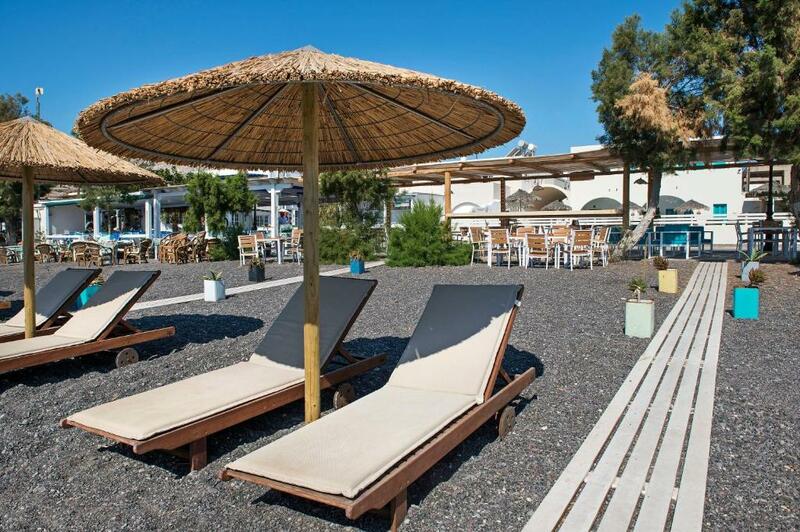 The location is just next to the beach and to go to fira/oia you can easily walk to the bus stop, very convenient. Receptionists were very helpful and always smiling :) Rooms were very clean and also the decoration was fantastic. Pool a bit dirty, hard bed sheets. The staff were all amazing. Everyone exceeded our expectations everyday. I highly recommend staying here. The location is very cool and close to a ton of good restaurants and beaches. The location was excellent, front staff was so attentive and service was great. I would definitely return here for my next holiday! Breakfast by the beach was just perfect every morning.